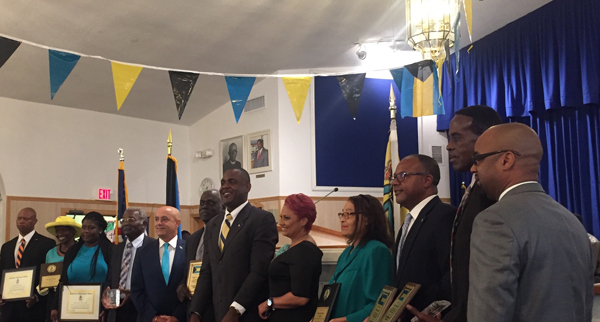 South Florida Bahamians Honored - The Bahamas Consulate General, Florida on Sunday honored persons from the local Bahamian Community, during the Annual Bahamas Independence Ecumenical Service which this year celebrated the country's 44th Birthday. Pictured Left to right: Acneal Williams, Honoree; Esther Panza, Honoree; Evelande Gideon, Honoree; Deacon Earl Ferguson, Honoree; Richard Treco, Consul General of The Bahamas to Florida; Earlston McPhee, Honoree; Reuben Rahming, Bahamas/CARICOM Ambassador-designate; Deanna Christensen, Presenter; Janet Jackson, Honoree; Julien K. Collie, Honoree; Rudolph Green, Honoree and David Moss, Presenter. FORT LAUDERDALE, FL - July 17, 2017 - Bahamians in South Florida, persons of Bahamian descent and friends of The Bahamas recently gathered at St. Matthews Missionary Baptist Church, Miami, Florida for an Independence Ecumenical Service to celebrate the 44th anniversary of the Independence of the Commonwealth of The Bahamas. Among the speakers at the event, His Excellency Mr. Reuben Rahming, The Bahamas/CARICOM Ambassador-designate, received enthusiastic cheers when he told those in attendance that, "the greatest asset of The Bahamas is not sun sand or sea, but WE (the people)." The service themed, "Towards The Rising Sun," began Sunday afternoon with an opening prayer followed by a warm welcome provided by the First Lady of the Church, Mrs. Evelyn Brown, wife of Pastor Rev. 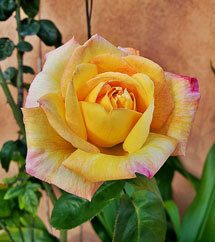 Dr. Vincent Brown. Other speakers at the service included Mr. Richard Treco, Consul General of The Bahamas to Florida and Senator, The Honourable Fred Mitchell, former Minister of Foreign Affairs. The keynote speaker of the evening was Rev. Dr. Jerome Symonette, of Restoring Grace Community Church, Ft. Lauderdale, FL. 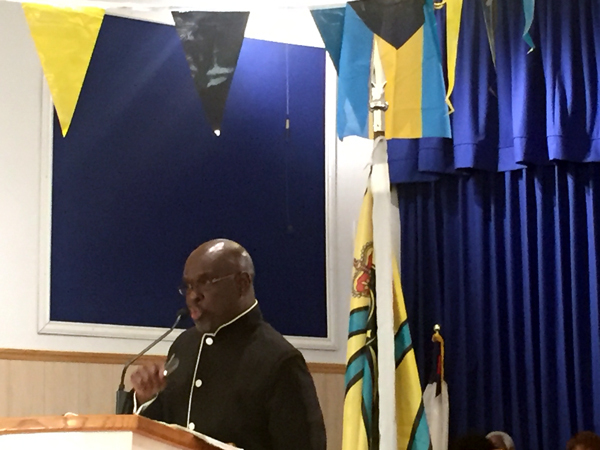 During the fast-paced service, The Bahamas Consulate General Office, Florida, honored a number of persons from the local Bahamian community and one of the highlights of the service was a solo by Acneal L. Williams, Masters of Classical Voice Program at Howard University (currently interning with the local Consulate office). 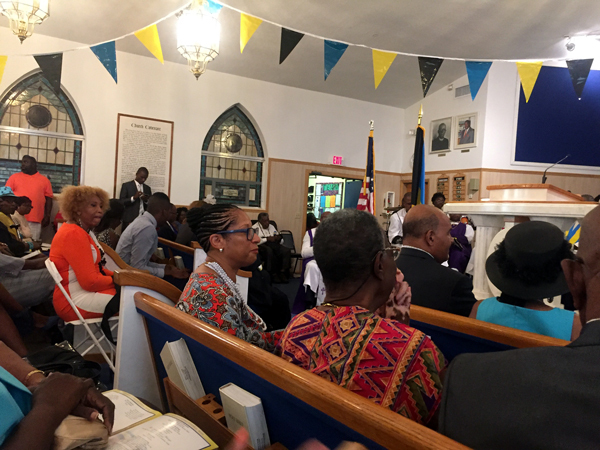 In addition to the speakers, a wide array of clergymen from The Bahamas or with a Bahamian background, as well as dignitaries and members of the local diplomatic corps were in attendance - some participating in the service. Those in attendance included from the Diplomatic Corps, Consul General Franz Hall, Jamaica; Consul Dave Spence, Trinidad & Tobago and Commissioner Thomas Dorsett – West Park Florida. Clergymen included Rev. David Ellis, Pastor Mike Brennen, Pastor Byron Braynen, Bishop Dexter Rolle (Bimini), Rev. Carroll Storr, Bishop Francis Curry, McQuaise Hepburn, Minister Horace Hord, Fr. Denrick Rolle, Rev. Leslie McMillan, Rev. Charles Thompson, and Rev. James Ferguson. 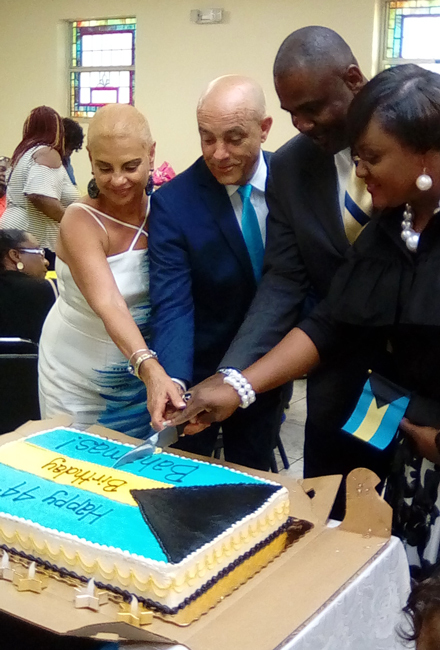 The Ecumenical service was one of a number of events planned by the local South Florida Bahamian community to celebrate the 44th birthday of The Bahamas as a nation. 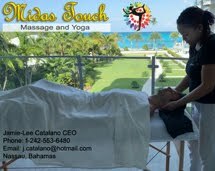 On Saturday, July 8th, Bahamians in Florida celebrated with a picnic at the Virginia Cay Beach, Miami. This Saturday, July 22nd, The Independence celebration events will continue with the National Association of The Bahamas (NAB) Annual Scholarship Ball, which will take place at the Shula's Hotel and Golf Club, Miami. The black tie affair is priced at $100.00 and tickets are available by calling NAB's President, Rosamon Gomez at 954-236-9292.